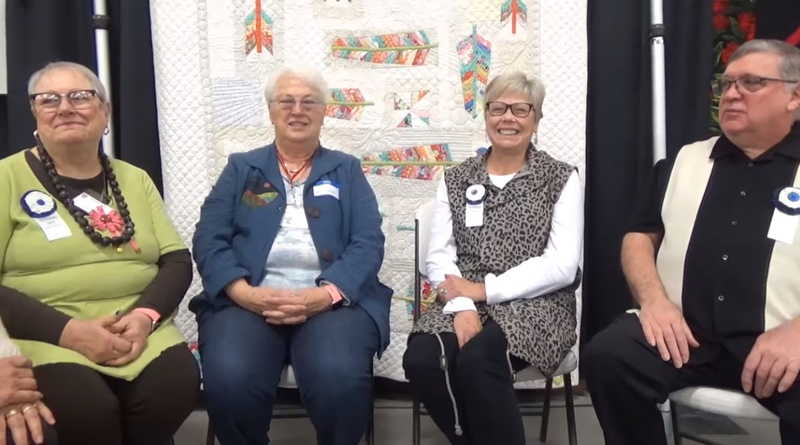 I was recently involved in an interview during the Clark County Quilters annual quilt show, which is now called Quiltfest Northwest. Here's a picture of Wilma Scott, Sharry Olmstead, me, and Jim Scheurman. 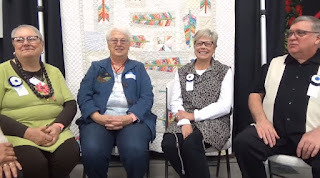 Have a look at the video, which is also available on YouTube and at The Quilt Show. Besides our interview, the video shows most of the show and some of the vendors. Happy viewing!